The insurance industry has been around for as long as any of us can remember, but if you were to review today’s processes for underwriting policies and paying claims, you might believe that not much has changed from its early days. The hard truth is that we’re an industry not known for taking risks (for good reason), and change can sometimes be risky. Despite this resistance to change, insurance companies are highly competitive. We obsess about finding ways to tap into underserved markets, e.g., selling life insurance policies to millennials, and oftentimes spend a lot of energy to drive more traction in these sectors. And when it comes to underwriting, insurers are investing significantly in digitizing systems to become more nimble and efficient in the application process in order to win more business. Transforming underwriting and claims processes and improving the customer/claimant experience is vital for insurers who want to remain competitive. We decided to dig into this topic a bit more with two industry veterans who have recently joined forces to become an even more robust insurance services provider. Ray DiDonna, SVP, Underwriting and Claims for RGAX and Don Russell, Founder and President of SALT Associates, which was recently acquired by RGAX, sat down to discuss ‘why it’s imperative to review your underwriting and claims processes regularly’ and some of the opportunities they see for their customers. It helps you identify steps which are unnecessary or inconsistent. It can make the process less labor-intensive and error-prone. It can improve the customer experience. With over 60 years combined experience, Ray and Don have valuable insights into improving processes for underwriting and claims. Here are a few areas they agree are important to look at for improving business outcomes. #1 Workflow quality – The first step in the review process is to make sure workflows are documented accurately. “Steps may have been added for one reason or another but never included in the official documentation. It’s important to have people with deep experience in the claims process involved in this review, so your workflows represent best practices,” Don states. #3 Artificial Intelligence (AI) opportunities – Data analytics/AI is an opportunity for both underwriting and claims to improve workflows. “AI may sound futuristic and, perhaps, a bit daunting, but we’re already seeing positive results from early AI projects with our clients,” says Ray. When was the Last Time You Reviewed Your Underwriting or Claims Processes? RGAX is the transformation engine of RGA (Reinsurance Group of America,) with a mission to help solve problems for our customers. We always start by digging into the root causes of the problems that need to be solved. In almost every case, a review of existing processes uncovers opportunities for improvement even before we talk about how automation can improve their business. If you’d like to chat more about how RGAX’s insurance services team can help you review your processes, we’d love to hear from you. Ray DiDonna, Head of Underwriting and Claims at LOGiQ3, is responsible for leading all underwriting and claims businesses and coordinating strategic planning and execution within RGAX Americas. He has been in the insurance and reinsurance businesses for over 30 years. 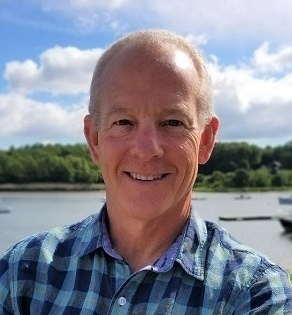 Prior to joining LOGiQ3, Ray was part of The Hartford Insurance Group, as Vice President and Business Leader for their Group Life and Disability Reinsurance line. 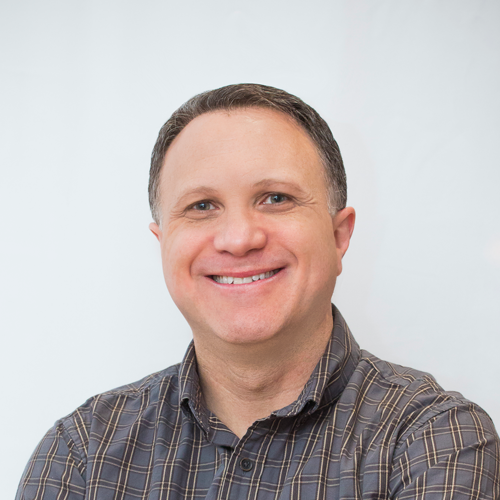 In addition to being a Fellow of the Society of Actuaries, Ray holds a Bachelor's Degree and an MBA from the University of Connecticut, and is a GE-certified Six Sigma Master Black Belt. Don Russell is Founder and President of SALT Associates, an RGAX company, and is a leading provider of disability and life insurance claims management solutions. For the past 16 years he’s been committed to helping insurers with creative, customized and strategic approaches that support better claims processes and outcomes. Don has nearly three decades of insurance experience including leadership roles in underwriting, product development, operations and claims. He is also past President of the Group Underwriter Association of America (GUAA). As Marketing Director at SALT Associates, an RGAX company, Julie is focused on successful development and execution of their marketing strategy. She is responsible for all aspects of their communications and branding, with a focus on supporting business initiatives to maximize results. Prior to her role at SALT she spent nearly 12 years in the reinsurance industry overseeing marketing communications for life and health product lines. Julie was recognized by LIMRA as a Rising Star of Marketing Communications in 2016.